New Delhi, 21 August, 2017: A "super burglar" who claimed to rob only politicians and bureaucrats and managed quite a stash of watches, gold jewellery and gadgets was arrested on August 15 Independence Day, the police today said. 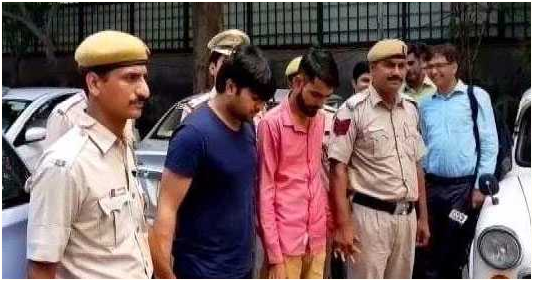 27-year-old Siddharth Mehrotra, the son of a retired bank official, allegedly pulled off several burglaries in south Delhi's Vasant Kunj in the past 10 months. He used a luxury sedan for his jobs and was always well-dressed. According to the police, he would approach houses with no lights on and ring the doorbell. If there was no response, he would cut through the grills of windows to break into the house. "I pick only politicians, bureaucrats and officers to cruise my way," Mehrotra reportedly boasted during his interrogation in custody. He is said to be involved in 11 cases in Delhi and Uttar Pradesh. A police officer said Mehrotra and his associates were caught with the help of "innovative, modern and electronic investigation strategy". It really came down to the right keyword on a Google search, which led them to a previous arrest. "After trying hundreds of keywords, we typed 'Officer's son arrested' and it worked," said the officer. The police tracked down his Facebook profile and finally the hill resort where he was vacationing. Two of his associates, one of them an employee at a jewellery store, were also arrested. His rich haul included a Chevrolet Cruz and a sports bike that he allegedly bought after selling stolen goods. A 42-inch Samsung TV, a laptop, a play station and VR player were also found by the police. The alleged burglar also collected one lakh Indonesian Rupaiah, 20 Nepali rupees and 200 Dollars.